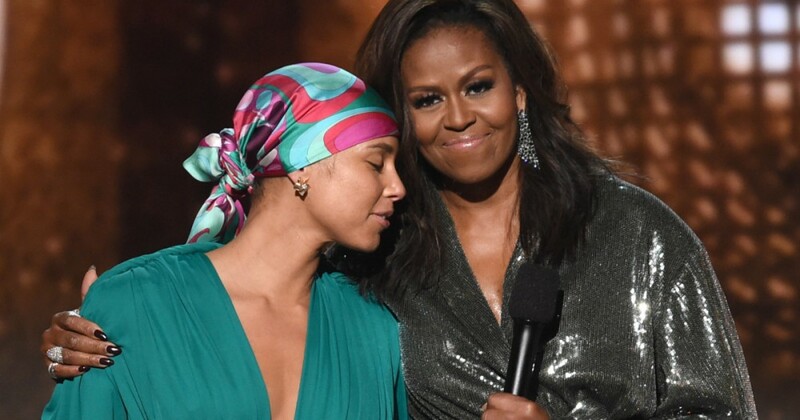 In lieu of a gap speech or shtick from host Alicia Keys, the 2019 Grammys gave the folks what they actually wished. And that after all is the distant reminiscence of easier occasions. Enter Michelle Obama. Our endlessly (in our hearts) FLOTUS made a shock look by forming a brand new supergroup with Keys, Lady Gaga, Jennifer Lopez, and Jada Pinkett Smith for a collective pep speak on the facility of music and lifting your voice and yada yada yada. We can’t deceive you, reader. Once our eye caught Michelle on that stage, all phrases have been misplaced on us. Very sorry, Gaga. Our dangerous, Smith? Is that who spoke earlier than Michelle? Who is aware of! For her half, all Michelle herself may utter was “Motown one thing one thing” and the gang went nuts. Spirits have been lifted. Souls saved. If the Grammys, just like the Oscars, wished to chop for time, they might simply finish it there and we’d all be higher for it.